Suitable for all thermoplastic materials such as acetylates, styrene, polycarbonate, PETG, acrylic glass, polystyrene, PVC, etc. The bottom heat is infinitely adjustable. 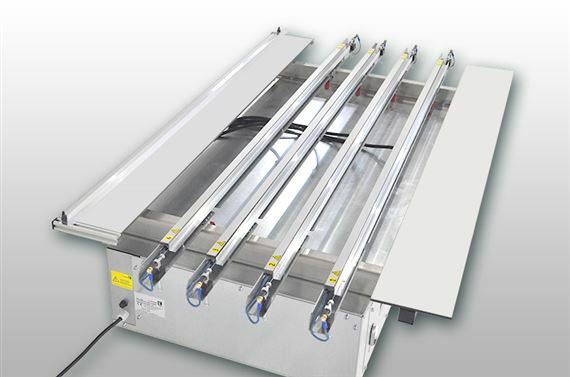 Includes four heating bars for up to four bends per process. The device is modular: the heating bars, the side stop bar or the end stop can be positioned as required.